The kitchen sink is not what it used to be. 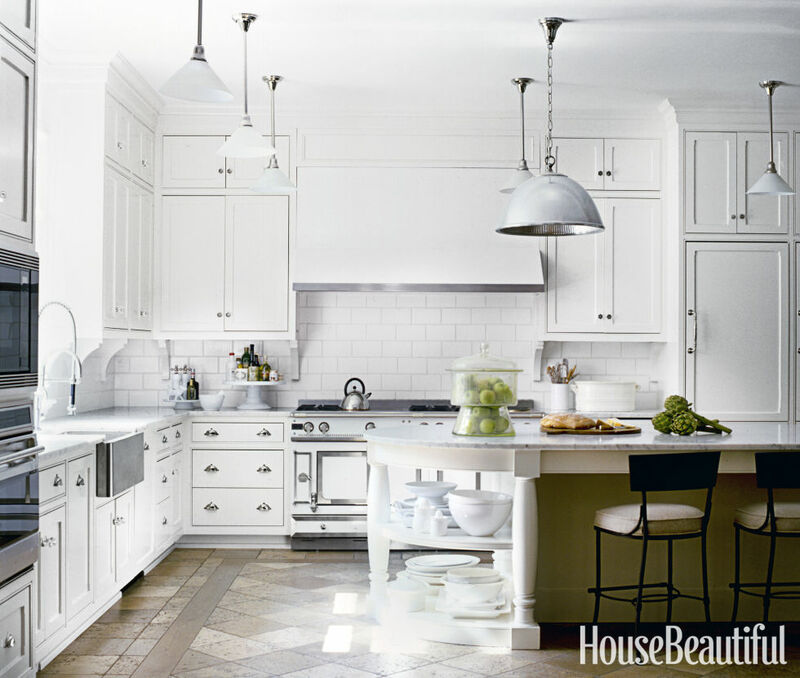 In times past it was an afterthought and so basic a fixture it was rarely specified with detail in the final kitchen design. 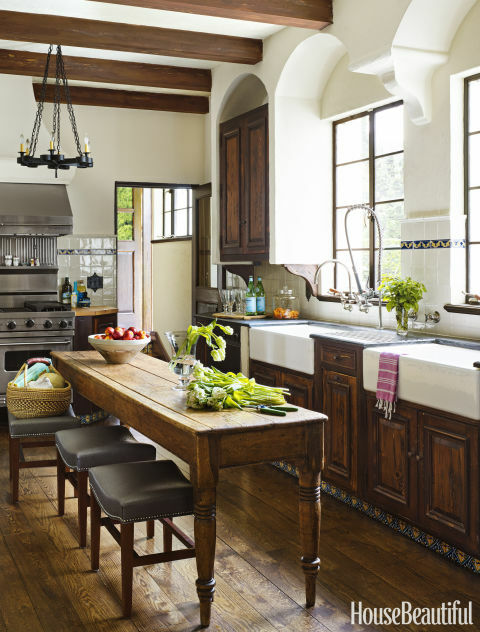 Not so today, the kitchen sink holds its own as a significant design feature and like jewelry can be the crowning touch that ties the kitchen design elements together. When homeowners choose to upgrade the look of their kitchens, the sink is the third most popular upgrade with countertops and faucets taking the first and second slot according to Houzz. Designer kitchen sinks come in many different styles, colors and finishes. As for style, the double bowl sink is the most popular followed by by the single bowl. Kitchen sinks can be color customized as a design element or statement maker right alongside the appliances. Many high-end luxury appliances are offering color options such as True Residential to fit the flow of the color scheme of your kitchen design, to make a design statement or to offer a pop of color. As for sink finishes available today, stainless steel is the most popular choice. It offers a wide price range suitable for all budgets and its resistance to heat and stains adds to its clean and polished appeal. The size of sink and the thickness of material (or gauge) will determine the total price. I love what is trending right now with new quartz sink finishes that are gaining traction in the kitchen remodeling and home building industry. Just last week Elkay, an industry leader in manufacturing high-quality kitchen sinks hosted the kitchen and bath chat that focused on the biggest trends in design with natural elements. They offer two collections, Quartz Luxe and Quartz Classic that offer superior strength and silky smooth user-friendly surfaces. Both collections offer 16 colors in 26 models with hundreds of choices to meet your kitchen sink needs. The Elkay Quartz Luxe sink collection “takes natural quartz which is four times harder than granite and makes it better through exclusive manufacturing processes,” according to Elkay. Soapstone is another high-end kitchen sink option due to its natural stain resistant qualities and bacterial growth. It has a soft feel which can make it more susceptible to scratches but over time it develops a patina of its own. 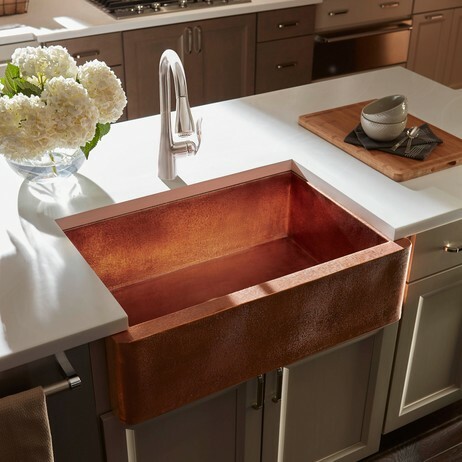 Copper sinks offer character, visual interest and craftsmanship for your overall kitchen design. This surface also develops a patina as the color evolves over time. It is naturally resistant to microbial growth so its antibacterial surface is a plus. Like stainless steel the durability will depend on material thickness. Certain acids, heat and cleaning chemicals will affect the patina but with regular treatments you can maintain the patina. Enameled Cast Iron sinks are not only vintage but can be dressed up due to a wide range of colors and styles available today. They are a solid investment and extremely durable but also very heavy. Cabinet modifications may be required due to the weight and specifications for installation. Porcelain sinks are coated after fabrication with a baked-on porcelain finish. 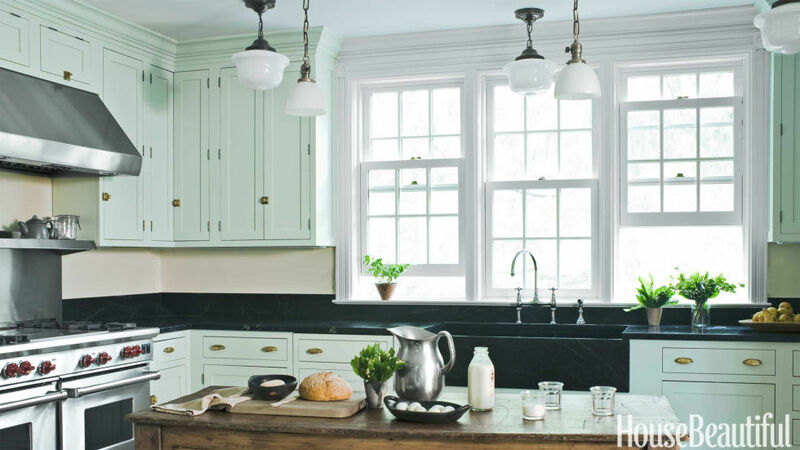 This classic look has applications for the farmhouse and country kitchens. Its thermal qualities hold water temperatures longer but like other heavy sinks it requires additional stabilization of base cabinetry, is susceptible to scratches and chipping that can lead to rusting. Composite granite sinks offer the look of granite at a lower price point. Extremely durable and capable of withstanding exposure to household acids, they are also resistant to chipping and scratching. The porous materials can be susceptible to certain stains therefore will require more maintenance. Fireclay sinks are made of clay fired at temperatures of over 1,800F and then coated with a special glaze for more durability. They will not chip, scratch or stain and are a great choice for the farmhouse style sink. They are also weighty and may require special cabinet support and often limit faucet mounting options. All said, choosing the right kitchen sink should be driven by function requirements to determine depth and width, season of life demands and then style preference within your budget. An informed decision is the best decision!